While succulents and watery arrangements still reign supreme around here they can be incredibly difficult to take along and leave on someones desk. Speaking of which, a surprise gift of flowers is having a real moment right now (hello shell pink peonies!). 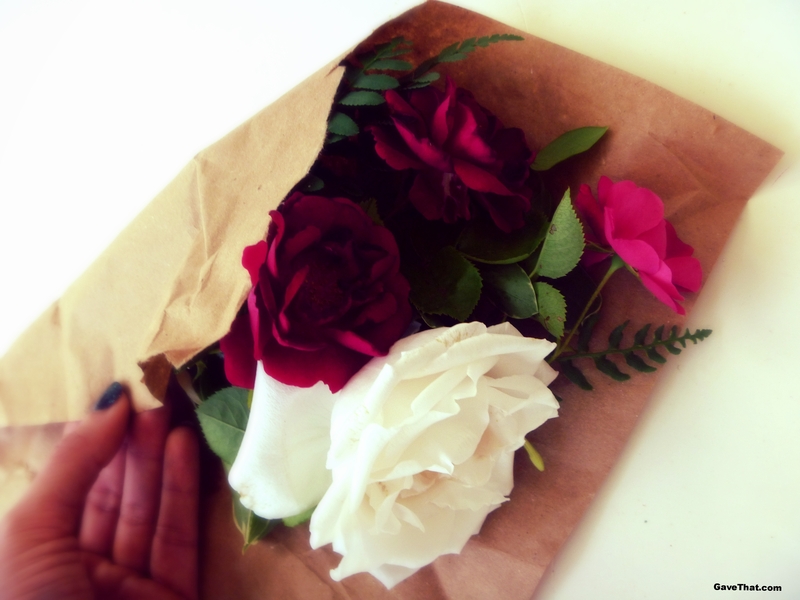 Which is why I found Taylor Tomasi Hill's take on the mini bouquet particularly inspiring and beautiful. 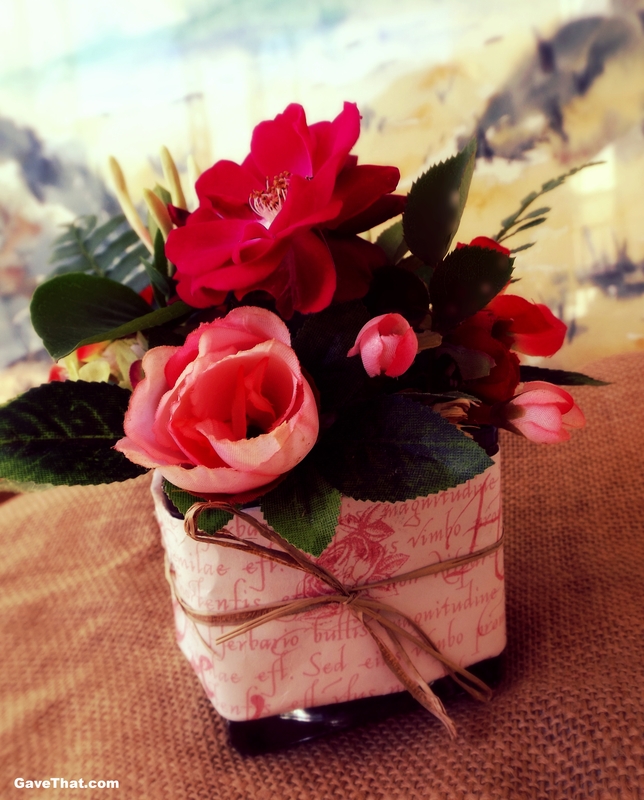 Simple glass jelly jars wrapped in florist paper and bakers twine. Vines and flowers purposely left un-manicured and earthy. Taylor Tomasi Hill can do no wrong. Always on the lookout for ways to reuse wrapping paper these arrangements seemed the perfect way to use all those slips and slivers laying about. Added to the scraps wrapping glass containers were raffia to hold everything in place and a red wax seal. 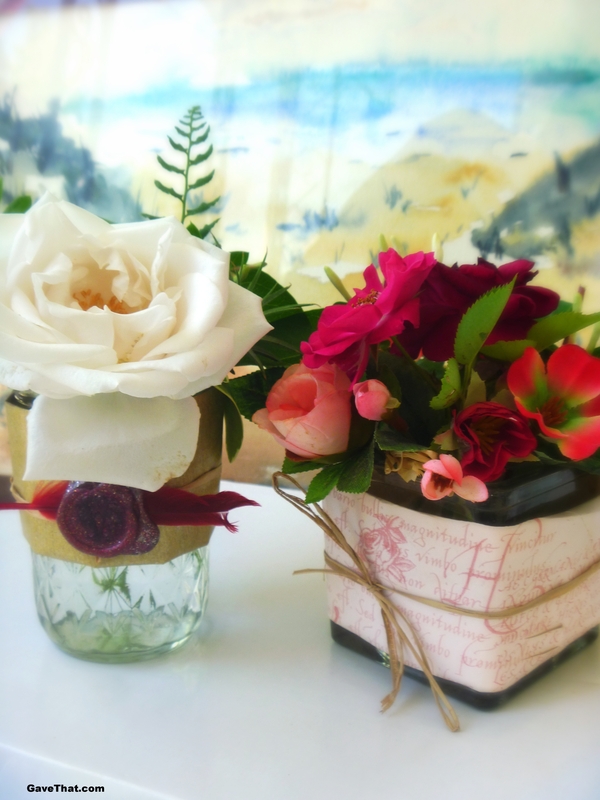 For more on creating those see my previous DIY post on wax seals here along with the secret language of flowers for an extra layer of meaning. Where the peony, ironically enough, stands for ostentation and anger. Oh well. 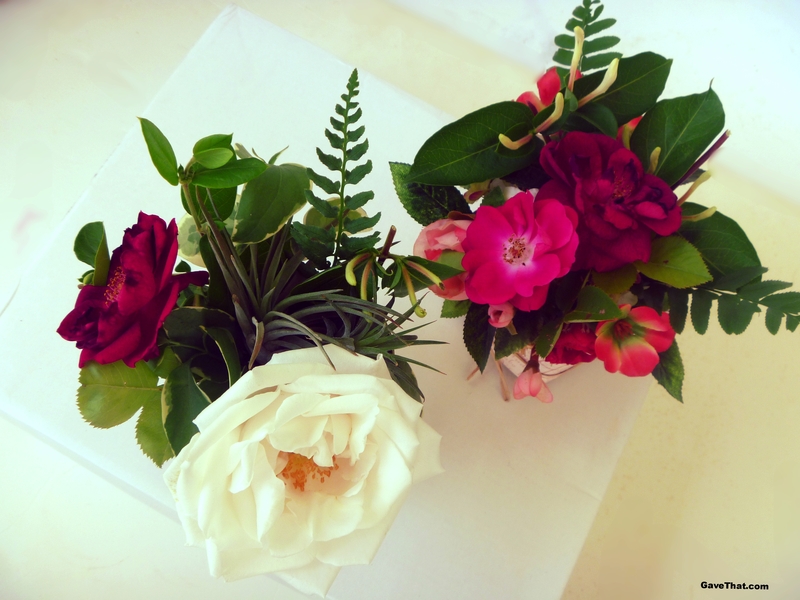 Flowers used: Roses, honeysuckle, ferns, variegated periwinkle vines and air plants.